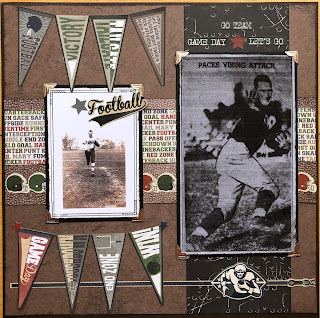 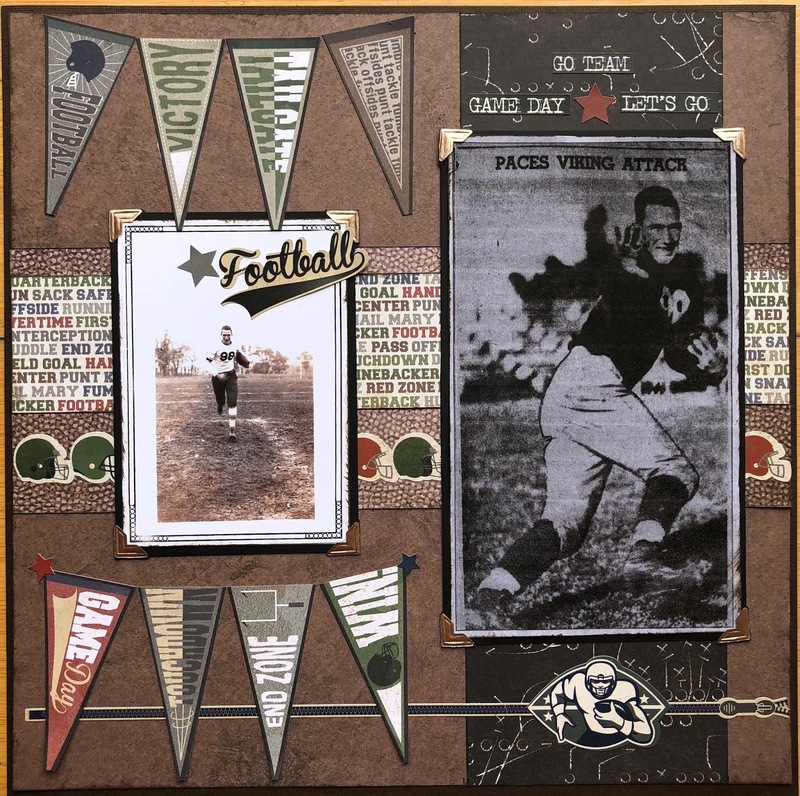 I used triangles in the form of pennants to showcase pictures of my Grandpa back in the 1930's playing football for his high school team. I used lots of older Amy Tangerine for my layout that includes a background paper with triangles, some little triangle stickers and some die cut triangles. 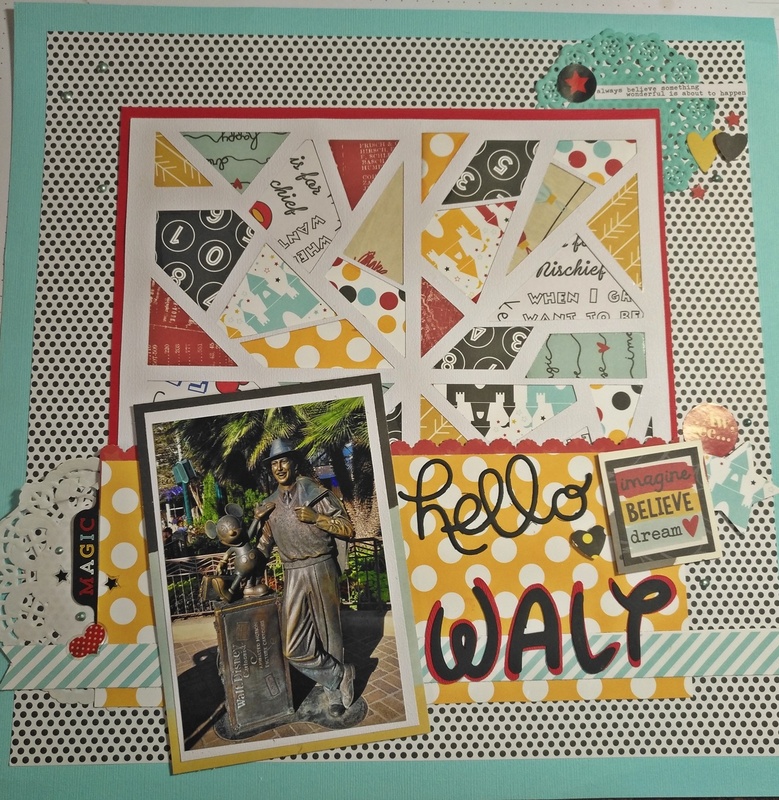 I went with a die cut that had some triangle elements in it for my layout which I backed with Disney paper from Simple Stories and Echo Park. 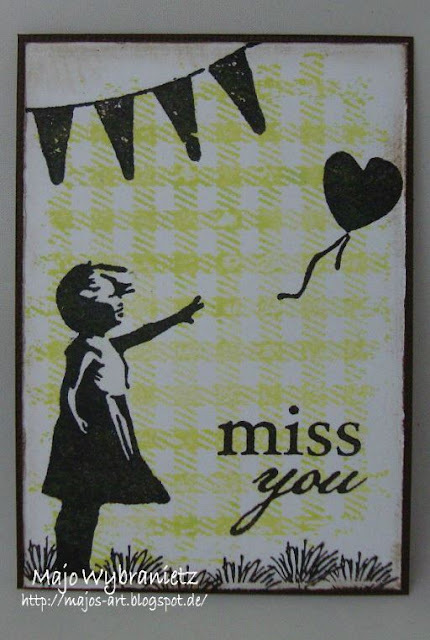 This is my ATC, using Viva Las VegaStamps images, a Darkroom Door background stamp and a sentiment from Kaisercraft.